Beau Stanton returns with Ascalon, a new body of mixed media paintings, sculptures, ink studies and mosaic editions created during his time spent as the first artist in residence for El Housh in Fuheis, Jordan. 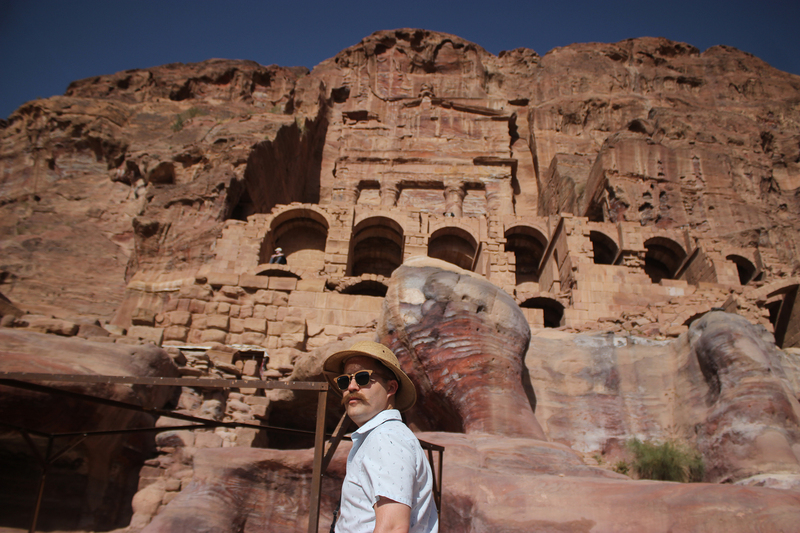 Stanton used the opportunity to soak up local culture, traditions and history with visits to Petra, the Dead Sea, Wadi Rum, the ruins of Jerash, and the Amman citadel, drawing inspiration for his latest body of work. 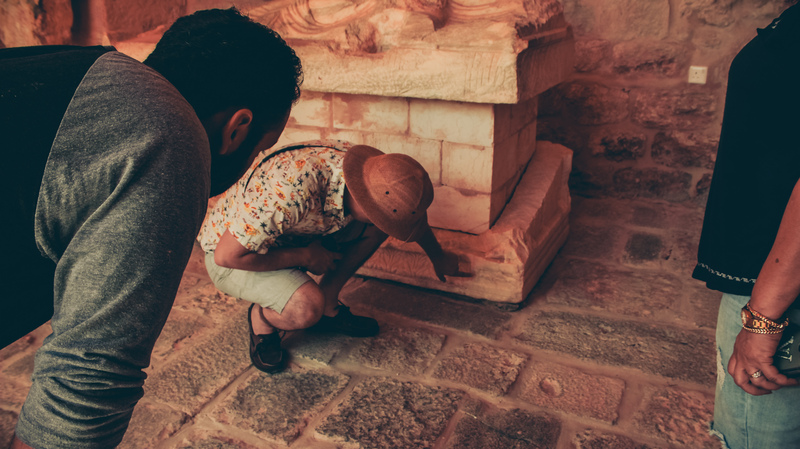 Read on as Beau Stanton gives us a look into his latest body of work created in Jordan and more. 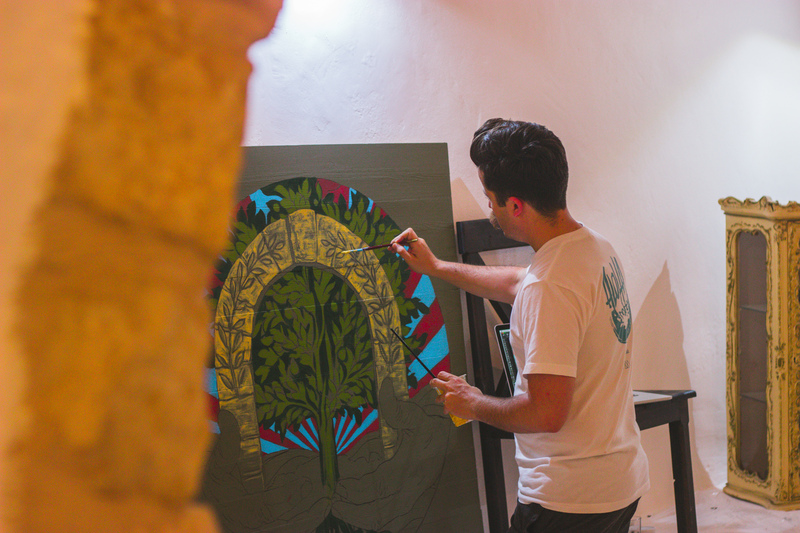 . .
1xRUN: Tell us a little bit about this series, it was created during your most recent artist residency at El Housh, anything immediate you would like us to highlight about this imagery? Beau Stanton: This series of work was created during my month long residency at El Housh Gallery in Fuheis, Jordan. 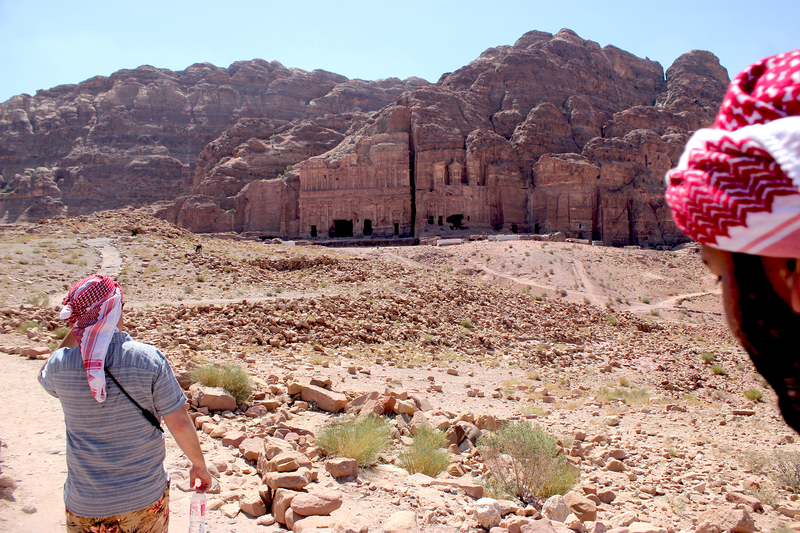 I had the opportunity to travel around Jordan and soak up a ton of reference, insight into the culture, traditions, and history before starting on the work. 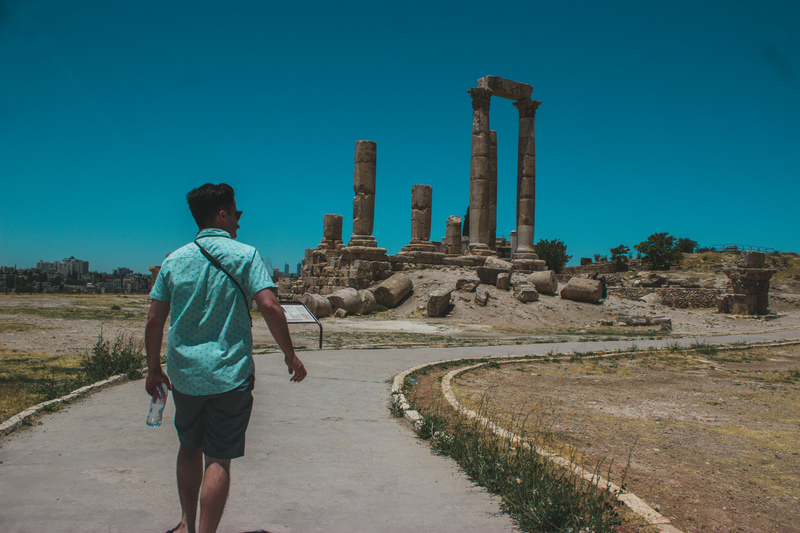 Visiting places like Petra, the Dead Sea, Wadi Rum, the ruins of Jerash, and the Amman citadel all contributed to the direction of this series as well as the bulk of my time just living and working in Fuheis. I named the residency exhibition “Ascalon” after the mythical spear that St. George used to slay the dragon, an ever-present visual icon in Fuheis. 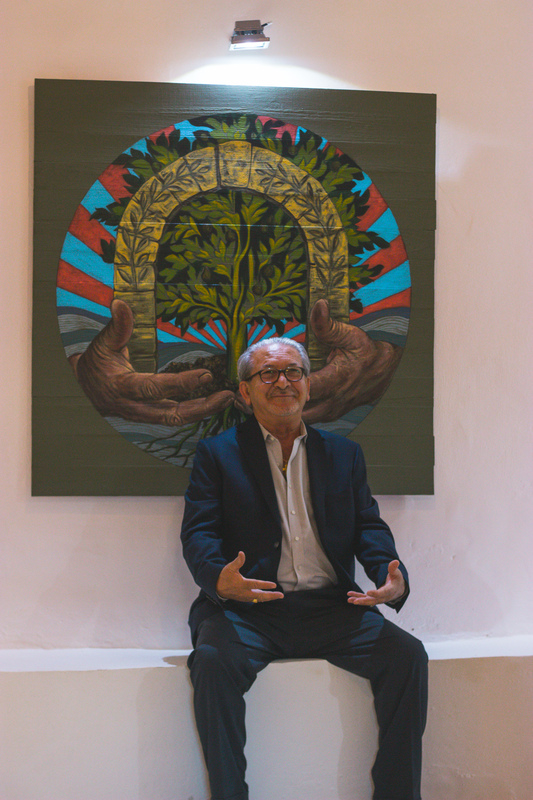 This powerful symbol can be interpreted many ways, however I figured that since I was the first artist in the residency, we could refer to the show as “the tip of the spear,” if you will. 1x: Was this image part of a recent theme, series or show that you have? If so how does it fit into that given grouping? Stanton: The concept behind most of the work has to do with reconciling a relationship to history. 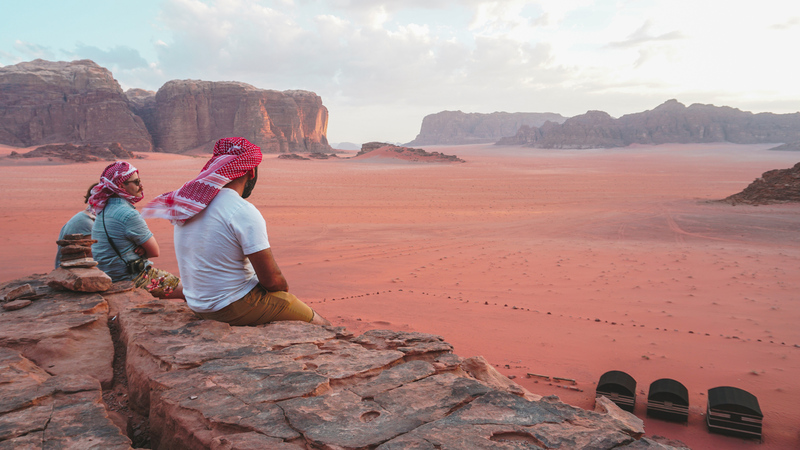 I’ve been guilty of romanticizing the past in my work and my experiences in Jordan reminded me that history is an ongoing, tangled, interwoven continuous mess of events that people are literally living and working among in the form of architecture, streets, customs, and religion. 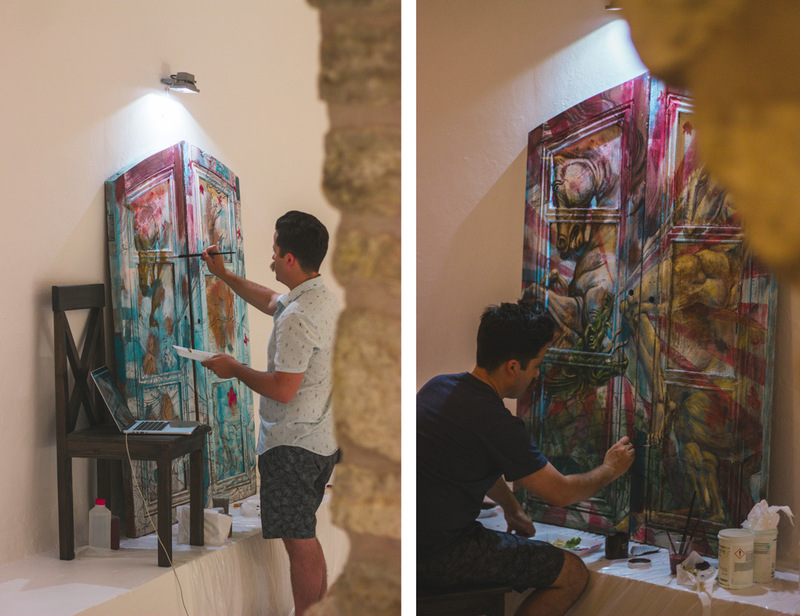 Much of the work aims to refresh a connection between the subject depicted and the object that was painted on, such as the deconstructed chairs and doors that were used as canvas. Stanton: The main pieces are acrylic paintings on found wood objects. 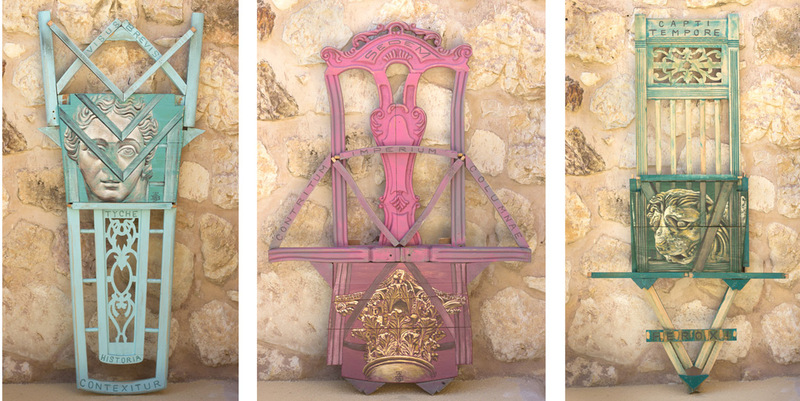 I wanted to work with some local items that already had the feeling of age, and was fortunate to have had a large set of antique doors and three old chairs donated to me to work with. The layers of paint and worn wood texture made a really exciting surface to paint on to begin with, and then I started to think of how I could take the chairs further by deconstructing and then reassembling them as sculptural canvases. I also created five ink drawings and an edition of mosaics multiples created while working with a mosaic studio the ancient city of Madaba. 1x: When were these pieces originally drawn and created? 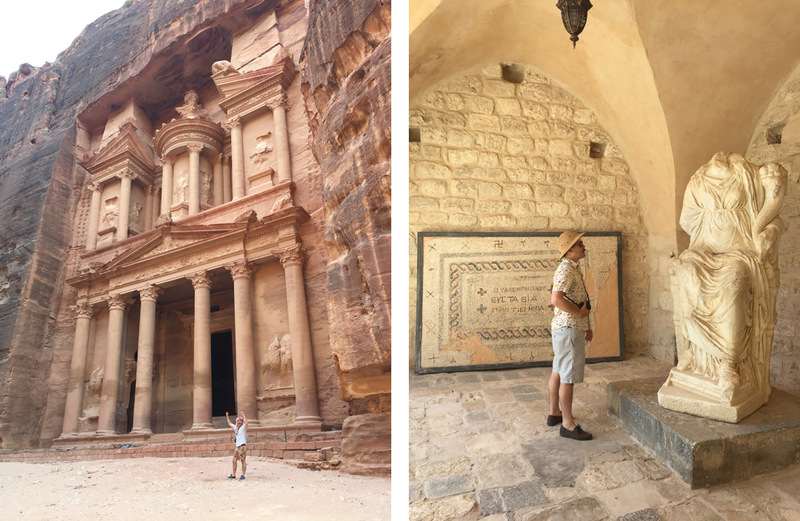 Stanton: During the past month (June 2018) while in Jordan. 1x: Tell us how the idea and execution came about for these mosaic editions? 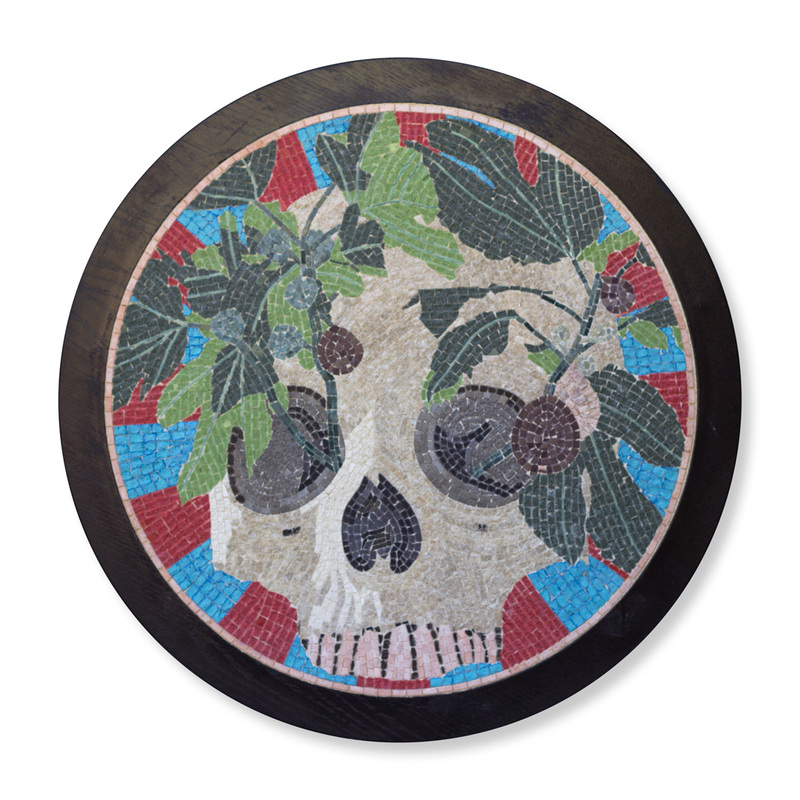 Stanton: I created an entire body of mosaic work while a resident artist at the Red Bull House of Art in Detroit two years ago and was happy to find a connection to this traditional art while in Jordan. 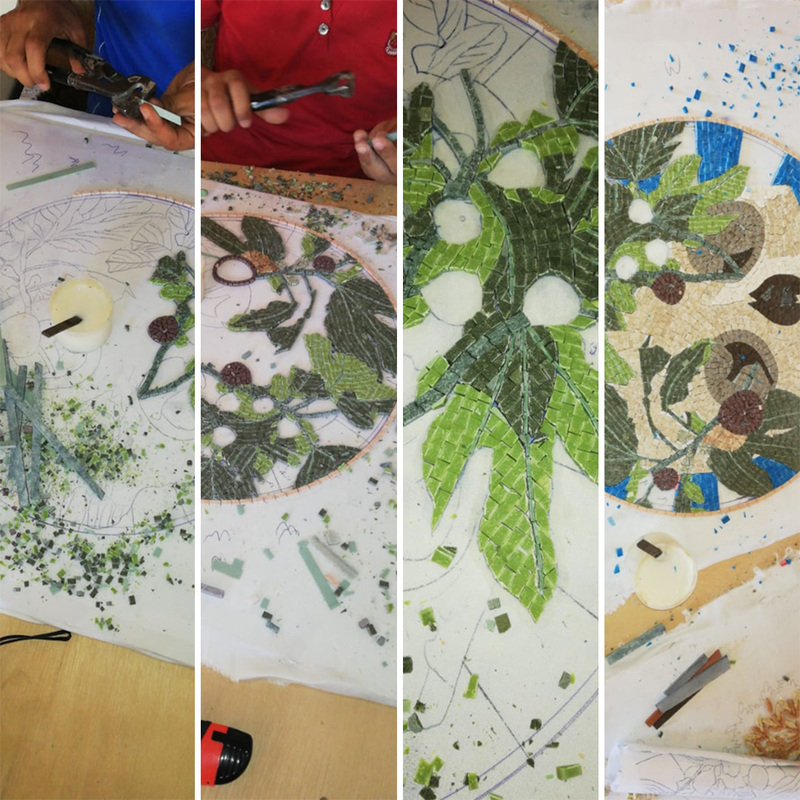 The city of Madaba has a rich history of mosaic making since antiquity and I was fortunate enough to work with a mosaic studio there to create these multiples. 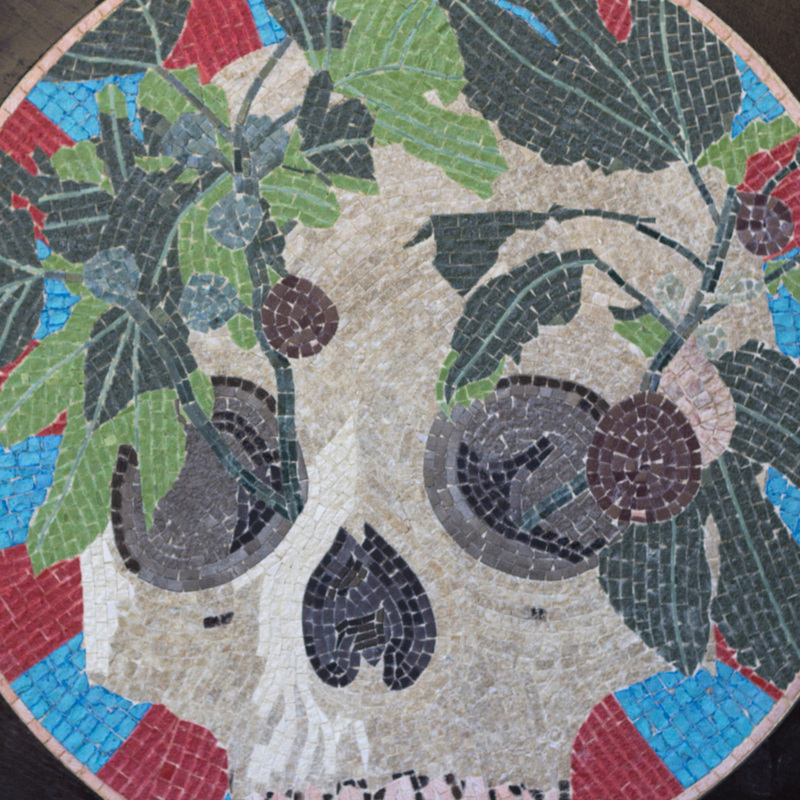 Each one is hand made based on my design depicting fig branches blossoming from a skull, an ancient archetypal symbol representing life returning out of death and the circle of life. Each of these mosaics is essentially an original hand made work with slight differences in the tones of stone used to compose the image. 1x: How long did these images take to create from start to finish? Stanton: The whole series was created in about two weeks however the ideas started marinating a lot earlier. 1x: What is unique about this imagery compared with your other work? Stanton: The work is a new direction that is entirely informed by my experience in a foreign land. 1x: You’ve touched on it a bit, but do you want to tell us a little bit more about your recent time that you spent at El Housh during your residency? What was the experience like and what were some of the highlights? Stanton: I think that it is really healthy for artists (and everyone else) to get outside of our comfort zones every now and again to learn and grow. This trip definitely achieved that for me and I am still processing the takeaways. Stanton: Over the past couple of years I’ve been really focusing on expanding my practice from painting into other media like stained glass, mosaic, animation, etc. and now I am focusing on returning to painting for a while. The plan is to more clearly communicate contemporary narratives rather than being so cryptic all of the time. It’s a delicate dance. Stanton: Tackling more logistically difficult projects has been very satisfying, I get the most excitement out of the work when the solution to a difficult problem actually works. Some examples include installing mosaic work outdoors in Detroit and in Denmark, a recent series of three 4×6 foot stained glass pieces, as well as creating my tallest mural to date last year in Nashville using some new techniques. Stanton: I just picked up some small sculptures from local Palestinian artists while I was staying at the Walled Off Hotel in Bethlehem a couple weeks ago. Stanton: Right now I’m preparing for a few murals that I’ll be painting in Manhattan and the UK over the next few months. Exhibitions are on hold while I plan my next large scale project in NYC planned for 2019, stay tuned!